Of all the things the late Dave Simpson could have done when it was time for him to sell the legendary C&O restaurant in 2013, somehow he chose the best. Simpson ran Charlottesville’s flagship restaurant for nearly three decades. And, to run it for the next several decades, he hand-picked Dean Maupin, a homegrown chef who first worked there as a line cook in 1995 before going on to run some of Charlottesville’s most elite kitchens, including Fossett’s and The Clifton Inn. The stubborn old C&O was too set in its ways to allow Maupin any major changes. So, the rustic wood panels, low ceilings, dim lighting, and signature Pepsi sign out front all remain. 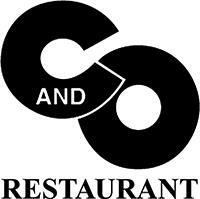 And, so do many of the C&O’s signature dishes that have attracted regulars to the downtown mall for decades. With praise from Food & Wine, Bon Appetit, The New York Times, and more, the C&O was once called “the least prepossessing fine dining restaurant in America” by the Washington Post. Under Maupin, the C&O lives on as the heart of Charlottesville dining. No one has fully experienced Charlottesville until they have eaten there. Although Maupin has tread carefully with a legend in his hands, like any lifelong chef, he has his own vision. And so, he has allowed himself a few tweaks. The current menu is a blend of C&O classics and Maupin’s innovations. Below is a list of our suggestions, Maupin’s own favorites, and appearances in Five Finds on Friday, where a local chef or personality has named a C&O dish as one of the best in town.